The hired corporate lacky speaks. Well they call us wingnuts but it seems the moonbats are now discovering the pitfalls of Obamacare. Milton Friedman so wisely stated years ago: There's No Such Thing as a Free Lunch. A single payer health care system supported from the tax base is the only way to go. That America keeps allowing health insurance companies to skim away half the money spent on health matters is just evidence of how corrupt your representatives in government are. "Obamacare" didn't even begin to scratch the surface of the problem - it was, in fact, a gift to the insurance industry. Far more restructuring of the system is needed, and it will happen - it's just a matter of when. 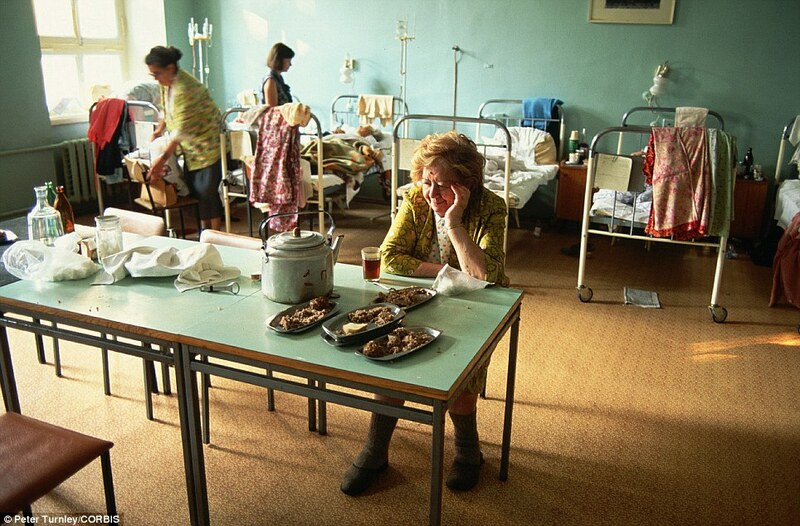 People in the former Soviet Union found out what socialize medicine gave them. Just to think it took the biggest chunk of the national budget only followed by military spending (who came in 2nd). I did get my insurance through the company I retired from. My out of pocket was well over $1000 a month and climbing. Through the health care exchange (There is NO such thing as "Obama Care" , that term was created for the racists crowd) I am saving a bundle of money for comparable coverage. Its not the best solution but its a step in the right direction. For all of those who oppose "socialized care" lets get rid of Medicare, Medicade, and Veterans benefits, they are all government programs. Medicare is not free, it comes out of our salary (like mine) every payday like Social Security. The Veterans EARNED the care whom served our country but are badly treated by the VA.
We need to cut the outrageous cost of hospitals, Rx drugs, etc. that has made healthcare unaffordable. The insurance companies are making $$$$$. I never said that Medicare is free. But it is affordable care that is the only real option for many older Americans. They could never get that kind of coverage from private for profit insurance companies. Before Medicare most older Americans had NO health insurance, they couldn't afford it. I never suggested that veterans shouldn't get any care or that they haven't earned it. Quite the contrary , I support (as most Americans) getting the best possible care for all veterans, many of their health issues may be a result of their service time. If there are any issues about the VA not giving adequate care to veterans (not enough facilities or personnel to operate those facilities) I never see Republicans pushing to improve those services by committing the funding necessary. They can give unlimited funding to the military industrial complex and push for more military intervention around the world but can't man up to pay for those wars and the long term costs (disabled veterans for example). Today many Republican politicians want to "privatize" these programs, that sure results in cost savings and improved services , right? Our biggest problem is the apathy of the non-Republican-voting electorate. What an enormous change there could be for the country if everyone would just be sure to go to the voting booth just once every two years. Republican voters always vote. They're more motivated. If they lose one, they just get more angry and come back harder, trying any trick they can think of to keep others away. Anger is their fuel, their life. Though they really are a minority of the population, they continue to be way over-represented in the number of their politicians that get elected. When will the disgust at how badly the country is run reach enough of a critical mass to get those lazy, apathetic withholders to start doing their minimal duty to their society once every couple of years? What will it take? Anecdotes aren't evidence, but . . .
My family carries a trait which sometimes causes minor problems. It's no big deal (well, the Air Farce docs finally wigged to it and kicked me out, but that's another story). It can also cause a far worse problem, as I learned one night when I had some really strange symptoms. Nothing major, just several parts of my body going haywire at once. I had to go to the ER to pick up a friend, and since they weren't busy, I decided to get checked out. About an hour later, I was in an MRI to confirm the doc's diagnosis. They transported me to a larger hospital with the proper specialists. They did another MRI. Less than six hours after I checked into the ER, I was being prepped for open-heart surgery at a world-class hospital. My condition was one of those things you never really hear about, and then when it happens to you, everybody knows someone in the family who had it. I found out two of my distant relatives here in the states had the same thing, with similar results. Everything turned out well for everyone. A relative in Canada (socialized medicine) died in a waiting room. He'd been there more than eight hours (his symptoms weren't considered serious enough to warrant being treated quickly). Three relatives in England (socialized medicine) had the same condition. One died before he could get in to see his doctor. One died during the week between seeing his doctor and getting an MRI. And one lived! About six months, then died of endocarditis (a really, really nasty way to go) because the doc took a quick look at him, said he just had a cold, and sent him home without a proper exam. 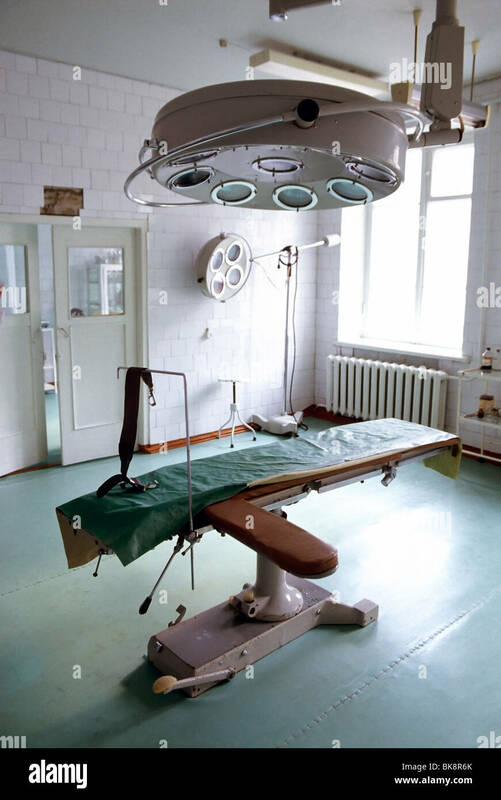 So let's tally that up -- three of us here (including me with crappy insurance and one without any insurance at all) got proper treatment quickly and lived, while four (living under the wonderful umbrella of socialized medicine) all died because of lousy access to doctors and crappy treatment. I'll just leave this one little thought for you: when have you ever known of any government program working efficiently or providing great service at a reasonable cost to the taxpayer? All I can tell you is that on Aug. 1, 2012 my abdomen burst. Aneurysm. By the time the ambulances got me to the surgeon my chances were minimal. 6 and a half hours on the table, 3 other aneurysms dealt with in addition to the burst one and I'm tough as nails so I'm still here. Home care for 6 weeks followed 12 days of hospitalization. 2 years later, another operation - this time on my leg. Home care for 3 weeks again. If these were the only instances of emergency care I'd ever needed, that would be plenty. But they're not. As one nurse said when she was looking at my history last time I was in for surgery - "so, you're the cat with nine lives, ay". All of this medical attention has been first-rate. And I have never received a bill for any of it. Canadians don't go bankrupt over medical care. Not any more. Add that to your anecdotes. My main objection to the ACA is the mandate, requiring everyone to have some form of insurance. What if a person don't want it - may not like doctors / hospitals in no matter way shape or form. Some believe in faith healing which should had been made part of the exemptions. Put it simple, if one don't want insurance even if they can afford it or the ACA, then let this be THEIR PROBLEM. A hospital then has a right not to treat said individual if they don't have the money or insurance to pay the bill. If one wants ACA (aka Obamacare) because of fianancial difficulties then feel free to sign on to it. This should be a free choice. In the U. S. we have plenty of "mandates" even if people don't readily recognize it. We pay taxes for police and fire protection, public schools , public facilities and roadways, etc. There are always a few who say that they don't want any of these things, preferring to live like hermits. So if all of these things become voluntary; my house catches on fire so I don't want the fire department to come to my aid? I get in a bad traffic accident, so I don't want a cop to give me first aid or an ambulance to take me to get any medical care? That may be my own choice but the facilities are there for my use so why not pay something for them? There are things that are done for the benefit of all society and I think that as good citizens we all should help pay for them. I have never had any children but I have paid many thousands of dollars in school taxes over the years. These kids aren't MY problem , why should I help pay for their education? We can't all just pick and choose everything that we want or need and say let the rest be THEIR problem. Ham, do we really want hospitals to just turn away sick people because they don't have the money or insurance to pay a bill? What about little kids who unfortunately have irresponsible parents, let them suffer for their parent's behavior? Most every reasonably civilized free society country in the world has some form of socialized medical care system. They spend far less on average per person cost then we do in the U.S. Their overall facilities and treatment are as good as (sometimes better) than the U.S. All of the people in these countries freely have chosen to adopt these systems and could freely get rid of them, but they choose not to. So they are all wrong? In this country (U.S.) we have medical care run by huge for profit insurance corporations; at least half of your medical premiums are going to places and people who have NOTHING to do with providing you with health care. How insane is that? Whenever the issues of health care come up these insurance companies and pharmaceutical companies spend many millions of dollars to spread disinformation, they are only interested in protecting their cash cow revenues. Why do so many Americans accept the "facts" presented by big corporate institutions and allow them to run our lives and make decisions affecting our lives? Everyone has medical insurance in a civilized country - whether they want it or not. This has been achieved in every other G20 country, excepting only the U.S., through a single payer system. These systems are supported from the tax base and the cost is much less than the healthcare costs in the U.S. because insurers have been eliminated from the equation. Wealthy capitalists make a lot of money from the status quo in the U.S., and that's the only reason the current system remains in place there. After a review of the various system I'm a supporter of the Swiss type model; not for profit insurance companies to administer the system. By no means is that system perfect but it appears to be solid and better than a fully run government program. I have worked in healthcare in four countries and have had extensive associated dealings with healthcare in three others. It is obvious to me that Americans are blessed! I feel that the pictures which hamradio posted are 'presentation' level in that the areas have obviously received recent cleaning and repair for the purposes of showing at its best. I worked in several hospitals and care facilities in Russia. None of them ever looked so good. What I have seen of facilities in England is little better. Cost of healthcare in America is high because Americans must pay for nearly all research and innovation because socialized medicine programs refuse to pay fair share. I have seen figures regarding one medication for treatment of side-effects of certain radiation treatment: more than twenty millions of dollars required to develop drug must be included in price of pills sold in America because prices in Canada, England and France can be only for direct manufacturing costs plus three percent. The amount of medical research performed in countries with socialized medicine is insignificant compared to American investment. Health insurance and managed care companies currently have profit margins of less than 4% as can be seen in graph at: http://www.forbes.com/sites/theapothecary/2014/06/27/profits-in-health-insurance-under-obamacare/. Average profit for all major trade sectors is: 7.84%. http://pages.stern.nyu.edu/~adamodar/New_Home_Page/datafile/margin.html. Newspapers have far greater profit margin than health insurance companies! Looking at the sources for that information proves that it is total BS. That's equivalent to the oil/coal interests making "scientific" claims that dispute globe warming and climate change. I indicated graph included with Forbes article. Article and conclusions may be biased but such a magazine dare not pull numbers out of the air because their subscribers are money-astute people who will be outraged if presented with false data. I am sure that one of the country's top business schools is not going to pull numbers out of the air despite providing information on sources of information and method of compiling data. There are other sites that backs up what Forbes says about profits for the big insurance companies. By the way, what has become of the health insurance schools use to offer for students during the 1960-70's time period? I remember getting it when I was in elementary school and it only cost a few dollars a month (back then). They sent a little card the size of a Social Security card and somewhat look like it. Sorry, I can remember what the company was, being over 45+ years! (ouch how time flies) It was in a blue typeset. I remember there was code which doctors used to indicate what they expected for giving good service. They could not ask openly because others would receive rewards for reporting doctors who accepted bribes. My mother's doctor often wanted brandy but would request good cigarettes for his nurses at times. Penalty for not sending it along promptly meant sitting long hours in waiting room and given only a quick look at next visit. I remember many trips up dark steps to doctor's apartment one winter when mother was very ill.
System had changed when I came of age to deal with such things on my own. Head nurse would take cash. Most of that went to the doctor. Some went to clerks who added false names to record so that time doctor properly spent with you did not affect quota of patients he had to see each day. Some went to queue manager who determined how long each person waited. She kept some as commission.